Personalized, professional MBA admissions consulting that brings out your very best. Our experience and knowledge of the MBA application process helps you push for more, find your voice, and tell your story in the most compelling way possible. “If you care about something enough, you get a professional to help you”. Helping motivated applicants with realistic goals get into every top 20 school since 2012. There’s a perfect way to tell every story. It’s natural to have blind spots about your strengths and weaknesses, and also to doubt that your target school is interested in what you have to say. We’re here to get you through that. Whether you think your background is too traditional, or not traditional enough, we’ll help you present a solid, honest, strategically crafted profile, that maximizes your chances of acceptance into your target MBA program. After working as a tutor for 15 years, I’ve run across more admissions consultants than I can count. Alice and David are among the very best… I’m thrilled whenever one of my GMAT or GRE students manages to land on their client list. If your network doesn’t include any graduates of top MBA schools, it can be tough to figure out where to start, or what you might be missing. If you’re switching careers, starting your MBA late, or coming from a non-traditional background, your application needs an expert touch. If you’re applying without professional support, the stress of the video essay and interview components can be quite overwhelming. While you can easily obtain a checklist of a school’s required admission documents – even a basic explanation of what they want you to say or do for each piece – it’s much harder to figure out things like what they really want when they ask for your resume, or why they actually ask you for recommenders. Each school has a slightly different angle or motivation, and there’s a world of misinformation out there, trying to pull you in this or that direction, not always with your best interests in mind. We pride ourselves in keeping abreast of the nuances of each school’s particular requirements, adding context to what they want by helping you understand why they want it and how you can best show them that you have it. We pride ourselves on taking the time to really get to know you – your story, your strengths, your plans, your dreams. It’s the only way we know how to do good work. When you put a solid effort into your application, you might be surprised to find that you’re not only accepted to your dream school, but also offered money to attend. Along with our realistic mock interviews, you get 1-on-1 communications coaching with top public speaking coach Eduardo Placer, a former professional actor. Everything we know about the admissions process… collapsed into 50 pages. The overwhelming majority of our clients are admitted to one of their target schools. We help applicants to select schools that are in line with their qualifications and don’t hesitate to recommend against particular schools (or even against an MBA). We’re happy to help you apply to a stretch school if you understand the odds and do so in the context of a balanced list of schools. Having said that, we recommend against using success rate as the main way to select a consultant because this metric is easily manipulated by either a) taking only perfect candidates, or b) convincing applicants to apply to easy schools. Furthermore, there is no satisfying way for applicants to verify claimed success rates. Most clients pay a low five figure amount for comprehensive support on their application process. We can give you an exact quote after a consultation once we know where and when you are applying. How early should I begin? As soon as possible! To preserve the quality of our services, we accept only a small number of clients and must turn away the vast majority of applicants. If you’re applying in a future round and want to maximize your chances by raising your GMAT score, networking with schools, identifying the right recommenders, and thinking about your story ahead of time, ask us about our Early Birds program. I have a weakness in my profile. Can I still be admitted? Not everyone is qualified for a top MBA program, but we’ve succeeded at Top 10 programs with applicants who had quit their jobs, had low GMAT scores, or even failed out of college, and overcame these by displaying other strengths. Contact us to explain your situation and we can advise you further. We’ve gone to great lengths constructing a process that allows us to make the somewhat audacious offer of “unlimited coaching” – including filming over 40 professional video lessons and intentionally keeping our coach-to-client ratio as low as possible. David cares. I always felt comfortable reaching out to him for advice, and I would always receive timely, candid feedback. I consider David not only as my consultant, but also as my friend. We use Basecamp to send reminders, organize action items, track your application and make sure we’re staying on or ahead of schedule. We have gone to great lengths collecting as much data, insight and feedback as possible about the process at each of the top MBA schools. The group component of our program is a motivational highlight for many, providing an early start on building their high-calibre MBA network. 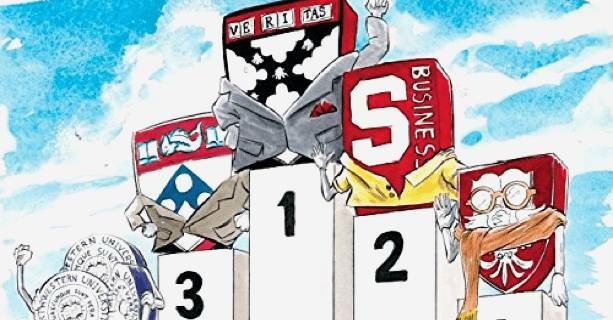 happy applicants get into top MBA programs. Based on feedback from our many amazing past clients, we know that our continued success owes a lot to our intentionally low client-to-consultant ratio. To maintain this high level of support and personal attention, we limit ourselves to working with only a small percentage of the many promising and ambitious people that come to us each year, inevitably turning away a number of people we would also have loved to work with. Simply put, our consulting calendar fills up quickly – with many clients booking a year or more in advance. If you know you want to work with us, please don’t hesitate to reach out! Want to guarantee a spot in next year’s cohort? Ask about our Early Birds program. Alice and her team are the best in the business. I reached out to her over a year ago and it was a great fit from the beginning. Bottom line, Menlo has the best reviews in MBA consulting for a reason and you should try to get to them early to secure their help! We’ll review your application and send you personalized feedback. If we think we’ll be a good match for your needs, we’ll set up a free consultation. At the end of a consultation, we’ll quote a package just for you. Most clients pay a low five-figure amount. Which Applicants Fit In at the Tuck MBA Program? Ready to meet your MBA admissions dream team?